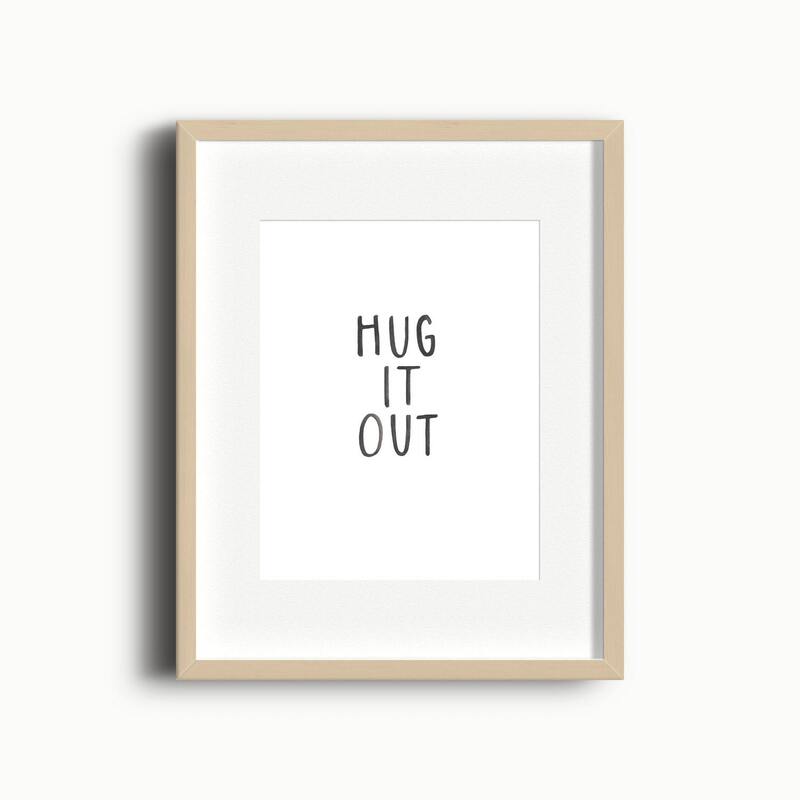 This Hug It Out print will look great in playroom or kid's room. It can be used as part of a gallery wall, by itself on a wall, or displayed on a shelf. You will receive the 5x7" print in pink, green and black. I created this print with watercolor and a paintbrush. If you love this 'hug it out' watercolor print and would like a different size or color, I'd be happy to customize it for you for $5. Just shoot me a message before you purchase! Once you purchase, Etsy will immediately send you a link to download all three files. Click the link and follow along to download and print! You will not receive a physical print, this listing is for download only and does not include the frame. The mockup of the print in the frame is for visualization purposes only. This printable is for personal use only. You cannot redistribute the jpeg, you cannot use the print for commercial use, and you cannot resell the print or jpeg. Do not share the files. If you love it and want to share it, please link back to this listing.